Do you like Frogar.io? Share it with your friends. 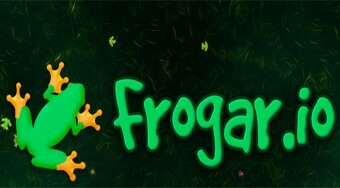 Frogar.io is another wonderful multiplayer game from the popular series .io games. In this game, it will be your task to jump with the frog on the grass, eat dyed insects, and dispose of smaller frogmen from other players around the world. The frog eats mosquitoes automatically, just by jumping next to a mosquito, the frog turns and dreams it with his long tongue.